The temperature is beginning to cool in my area and I'm definitely ready for fall. 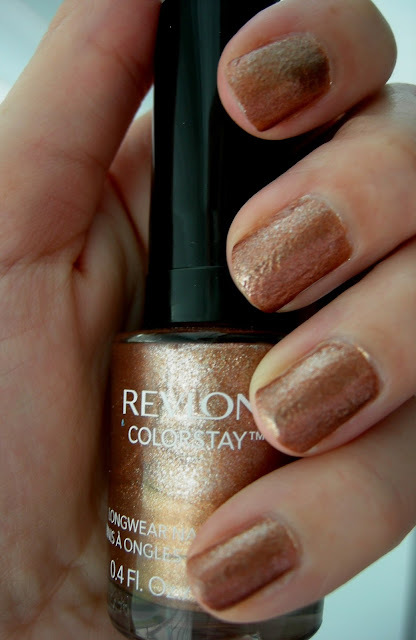 I thought it would be perfect to wear Revlon's Fall Mood to match my excitement for the upcoming season. This glittery, bronze shade is great to match the changing leaves. One coat of this polish is great and opaque. This is my first experience with a Revlon Colorstay nail color, but if the polish is anything like the great base and top coat I used with it, I'm sure it will last for a while.